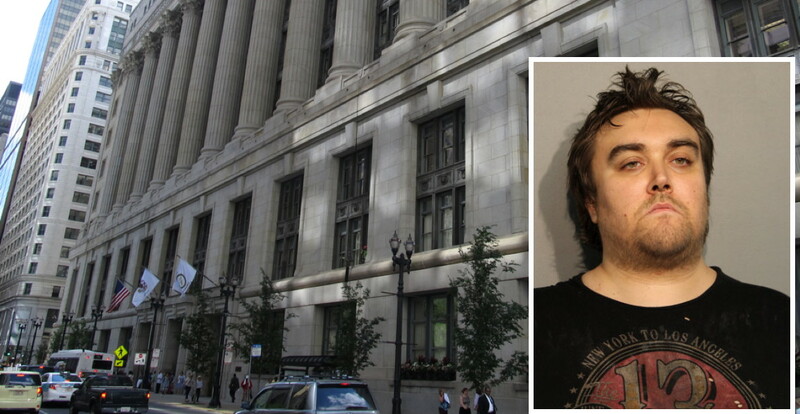 Richard Schmidt (inset) allegedly threatened to kill Mayor Emanuel and blow up city hall. A Lincoln Square man is accused of threatening to kill Mayor Rahm Emanuel and blow up City Hall in a pair of 311 calls. Making things worse for Richard Schmidt are the narcotics that police say they found when they executed a search warrant at his home on Wednesday night. Cops went to Schmidt’s home in the 4500 block of North Damen Wednesday morning, one day after he allegedly called an armed forces recruitment center in Avondale and said he wanted to attack and bring down the government “and mentioned something about nuking the country,” police said. Detectives prioritized Schmidt's case after he allegedly threatened this military recruitment center on Tuesday. Detectives had wanted to talk with Schmidt since November about the threats he made to Emanuel and City Hall this summer, according to court records. The alleged recruiter threat put him at the top of their “to do” list. Officers returned to Schmidt’s home Wednesday evening with a search warrant. They recovered a bottle containing suspect cocaine, two “cutting” cards packaged with two rolled-up dollar bills, and a bottle of suspected Quaaludes, according to police records. The 35-year-old is charged with misdemeanor telephone harassment; misdemeanor possession of drug paraphernalia; and felony charges of possessing cocaine and possessing Quaalude. Judge Sophia Atcherson ordered Schmidt to be released on a $10,000 recognizance bond. The Armed Forces Career Center refused to pursue charges, according to police.